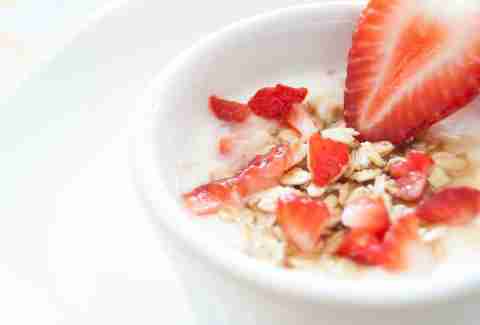 How Healthy Is Oatmeal, Really? We Asked a Nutritionist. Are you getting enough oatmeal in your life? Is it possible to get too much oatmeal in your life? Just how healthy is oatmeal in the first place? To answer these hugely important, grain-related questions, we asked nutritionist Karen Ansel, author of “Healing Superfoods for Anti-aging: Stay Younger, Live Longer,” for a complete rundown on what makes oatmeal such a health-packed, yet overlooked, grain. So, is oatmeal actually healthy? In short: yes, absolutely. 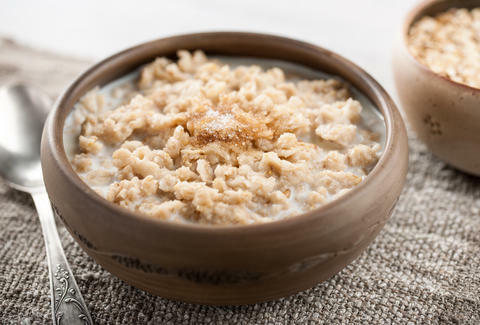 According to Ansel, oatmeal's actually one of the best foods out there for heart health, thanks to its levels of beta-glucan (a type of fiber that can lower your cholesterol naturally) and avenanthramides (antioxidants that can clean your arteries of plaque). "Oatmeal is also a great pick if you’re watching your weight," says Ansel, "thanks to its combination of fiber and water, which causes it to expand in your gut like a sponge so it keeps you feeling full for hours." That said, you should try to avoid those flavored oatmeal packets, as they pack on an additional layer of salt and sugar that undercuts the whole "health" angle you're going for here. Just how much oatmeal should you work into their diet? Well, that all depends on what your goals are. "If you’re eating oatmeal to lower your cholesterol, you’ll want to eat about a cup-and-a-half a day to get the 3 grams of beta-glucan that’s been shown to lower cholesterol by 5 to 8%. Otherwise, one cup should keep you full and satisfied thanks to its 4 grams of fiber and 6 grams of protein." Should everybody be eating oatmeal? Unless you're allergic to oats, there's no reason for you not to eat oatmeal. If you have celiac disease or a gluten allergy, you'll want to check the label; oats themselves are naturally gluten-free, but many are processed in the same facilities wheat is, so unless a brand is certified gluten-free, there may be some stray gluten floating around. Since oatmeal can admittedly be a bit bland if you eat it plain, Ansel recommends adding ingredients like cinnamon, cardamom, sliced almonds, chopped pistachios, tart dried cherries, or fresh berries. "Also don’t be afraid to go savory by making an oatmeal 'risotto' by cooking it in chicken stock and adding sautéed shallots and spinach. Then top it with a fried egg for extra protein." If that sounds like a bit too much work, you're in luck: slow cooker oatmeal is a totally legit option that doesn't require you standing half-asleep over a stove. If you're too lazy for that, there's always the overnight oats route -- it's like regular oatmeal, but cold. Is it possible to eat too much oatmeal? As beneficial as beta-glucan is, eating oatmeal for breakfast, lunch, and dinner means you're gonna be neglecting other parts of the (admittedly flawed) food pyramid. According to Ansel, this can translate "to all kinds of nutrient deficiencies over time, not to mention diet boredom." Then again, the odds of you eating only oatmeal 24/7 are pretty remote -- unless you're a quaker, or that dude Bob with the red mill, in which case your body's probably 90% oats anyway.